Find great gifts for the Dunkin' Donuts coffee lover in your life! These unique collectibles and merchandise will take care of all of your birthday, holiday, or "just because" gift shopping needs for coffee lovers or those that are big fans of Dunkin'. Give an ornament for the holidays, a gift card to a friend, a koozie to the iced coffee drinker, collectible toys to the ultimate collector, or mugs to the everyday coffee drinker! Scroll down for plenty of gift ideas and cool Dunkin' Donuts merchandise to choose from. Is there a worse feeling than getting cold, moist hand after holding your iced coffee in the heat of the summer? 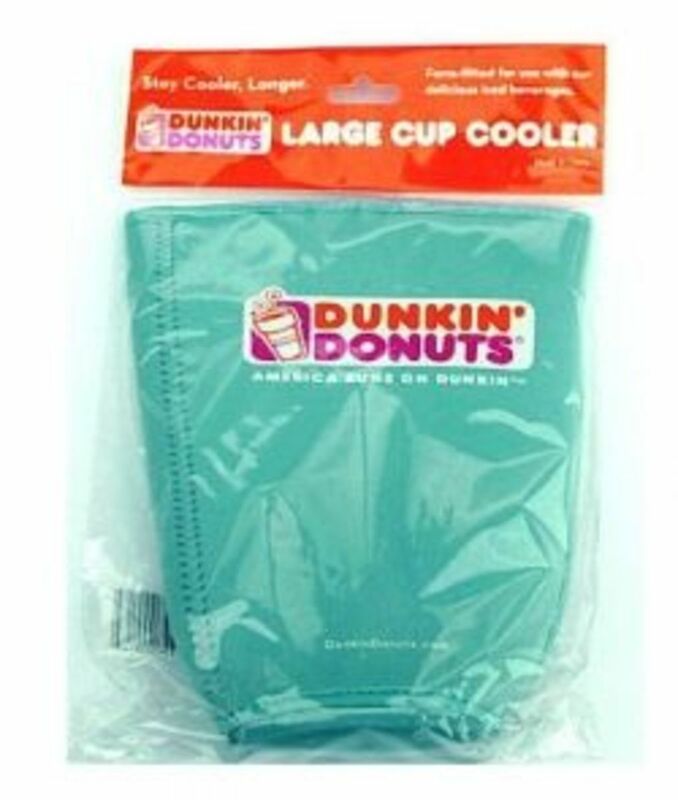 Keep those hands dry and keep the ice from melting and ruining your favorite iced beverage with a Dunkin' Donuts koozie! These koozies are insulated cup holders, and fit right on top of your coffee cup. They come in three sizes, small, medium, and large. Keep them in your car, at work, at home, or give these as gifts to the ultimate iced coffee drinkers! Helps keep your shirt clean - fewer spills! No condensation on the outside of the cup - again less mess! If you're the ultimate Dunkin' fanatic, you'll be decorating your Christmas tree with Dunkin' Donuts ornaments this year! Each ornament features one tasty beverage or bakery item from their stores, like the coffee cup ornament, round frosted donut ornaments, and collectible ornaments in many different styles. Some of these are very collectible, with a new line of ornaments being introduced every year. If you see an ornament that you like, be sure to pick it up while it's still in stock, and before it becomes a hard to find item next year. Another great gift for coffee lovers! 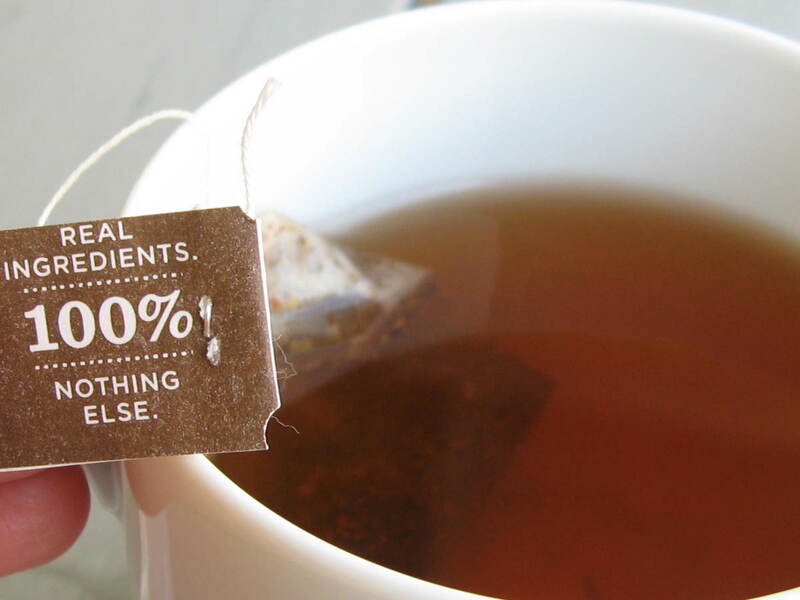 Paper bags alone will not keep your coffee fresh, unless you're going to be consuming an entire bag in one day. 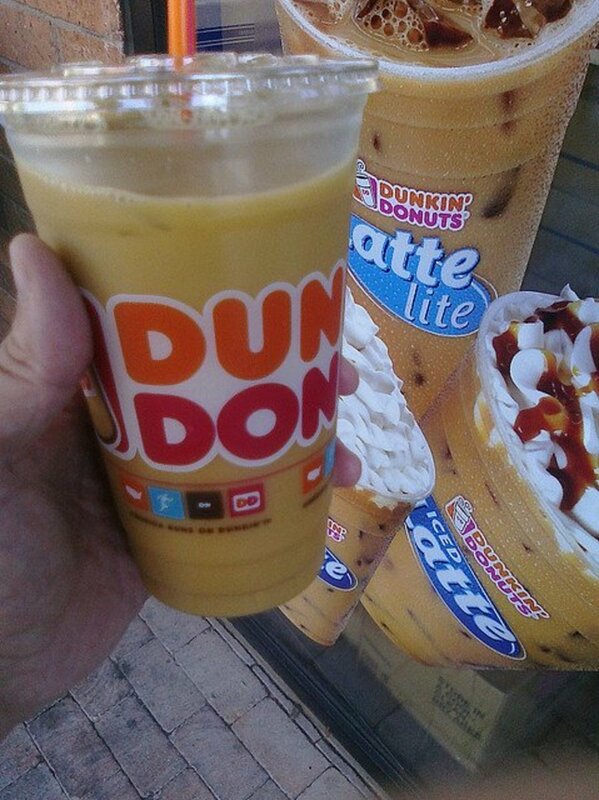 For the rest of the world, a Dunkin' Donuts coffee canister is a good choice to keep that coffee tasting fresh. Simply pour your bag of beans into a canister, close it up, and keep it in a cool, dark place. 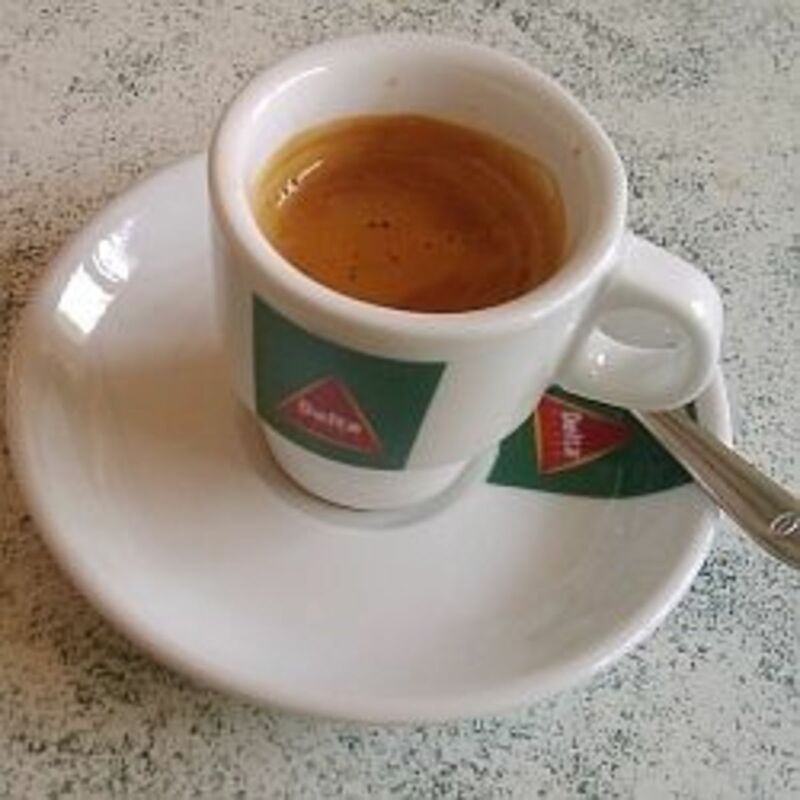 Then, when you're ready to use it, it will be tasting just like it was freshly roasted and have the amazing taste and aroma you'd expect from Dunkin' Donuts. Having one of these on hand only makes sense! Also be sure to read this article on how to make coffee taste better to ensure you're getting top notch coffee every time! Sometimes sipping your favorite coffee or munching on a jelly stick from Dunkin' Donuts isn't enough to show your true dedication and passion for this national coffee chain. For those that want to show their donut lovin' pride, there's Dunkin' Donuts t-shirts that you can sport all around the donut shop, the mall, at home, or to give as a gift. Check out the latest selection of tees to the right and see if you can find anything that strikes your fancy. It's time to make the donuts! Now that donuts and coffee are such big business for DD, they need semi trucks to deliver the massive amounts of coffee, cups, napkins, food, and merchandise that customers don't just want, but demand. If you live in the northeast, you've no doubt seen one of these trucks delivering to your favorite local coffee shop, and maybe so has your little one! 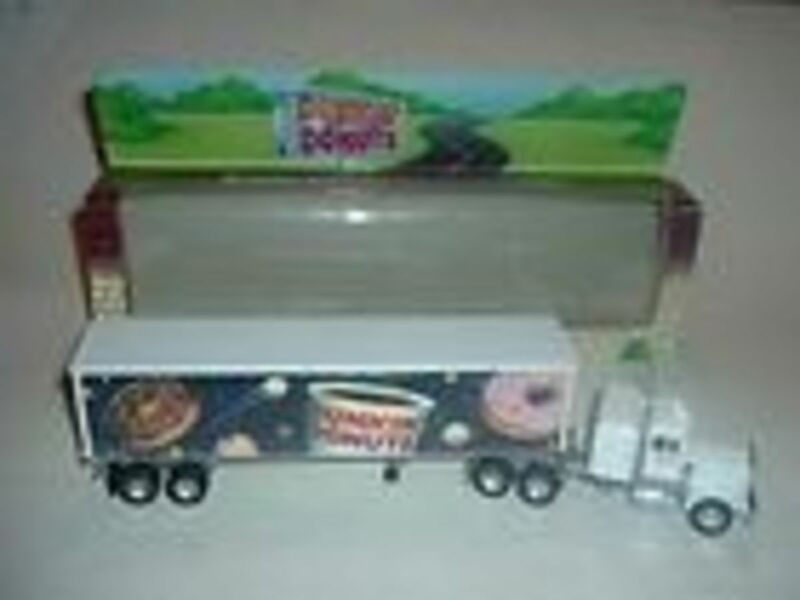 These die cast Dunkin' Donuts semi trucks are cool toys for kids, and also a great collectible item that would look great displayed or given as a gift. 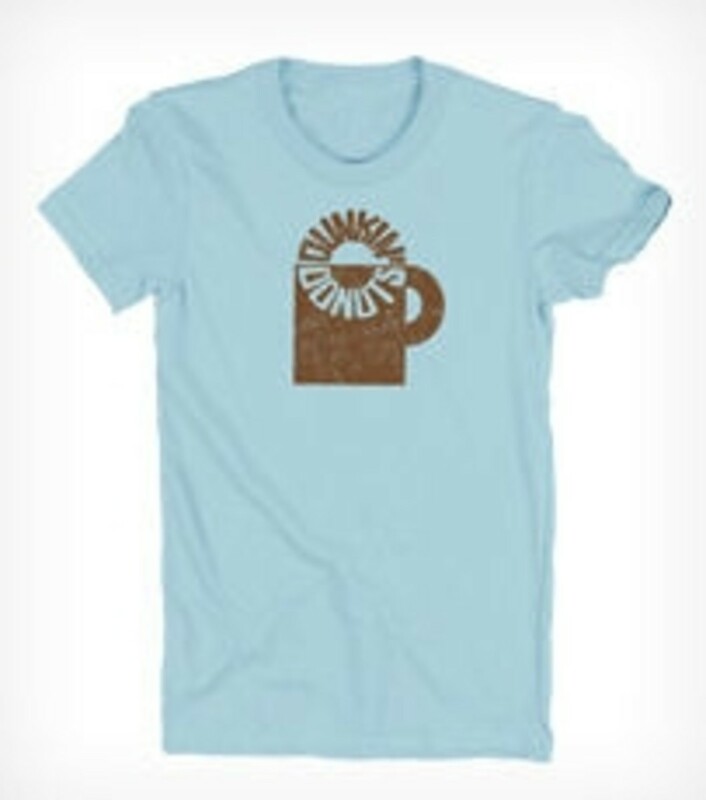 A classic gift for collectors and anyone that is in love with the coffee! If you live in the northeast of the United States, you're probably no stranger to this popular coffee chain. 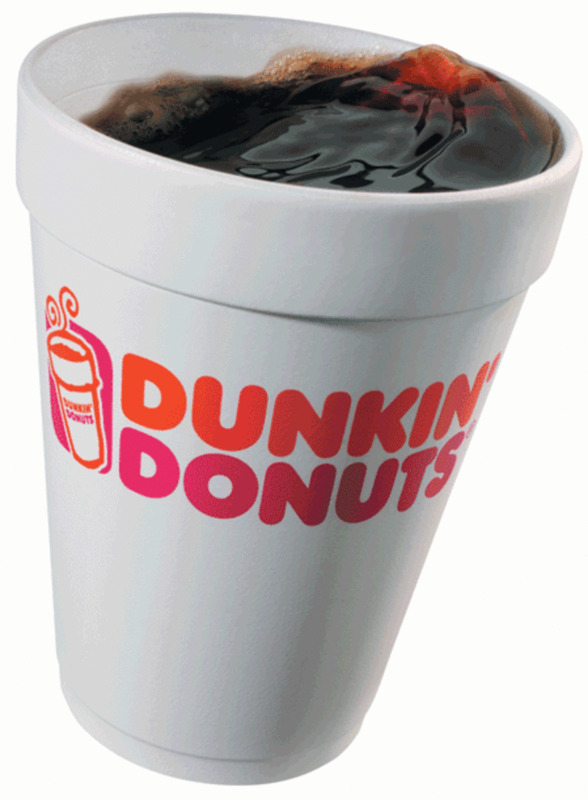 With hundreds of franchise locations across the east coast, DD has dominated the coffee market in the eastern USA since the 80's, when more locations began appearing. In fact, franchise opportunities in some areas have been completely eliminated due to saturation of the market! While on the west coast there might be a Starbucks on every block, there's a DD on every street corner (sometimes even literally in Boston). The coffee speaks for itself. It's smooth, mellow, and easy to drink. Coffee brewed on location is always hot, fresh, and tasty. 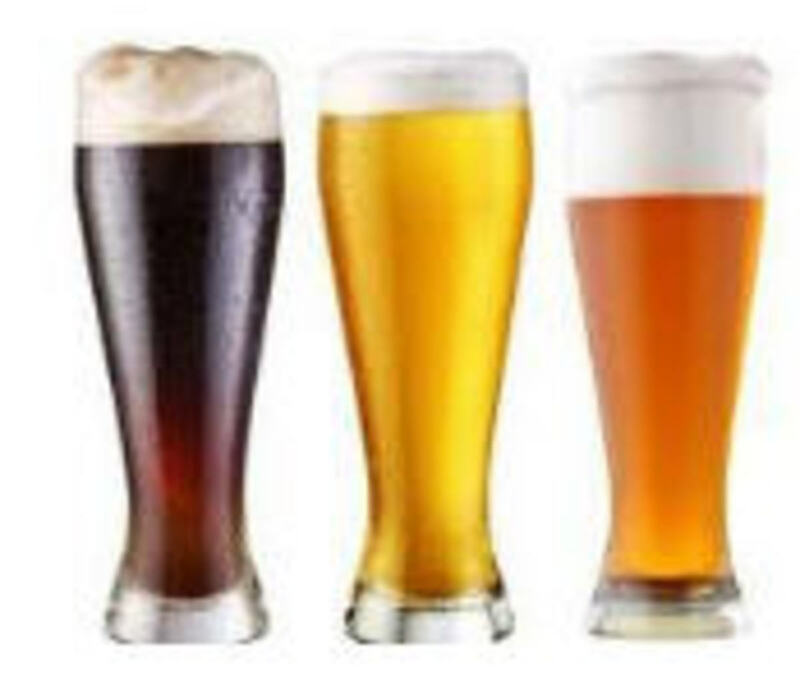 They offer a variety of flavors, all of which also taste excellent on ice. As you could've guessed, they're also known for their donuts and pastries, however it's been second fiddle to their coffee. If you're looking to try some of their best food products, try out their crullers (now called "sticks"), munchkins, fresh bagels (it's best to get these early in the morning), or their muffins. While these definitely aren't health food, it's a good treat once in a while that goes great with their smooth, delicious coffee. 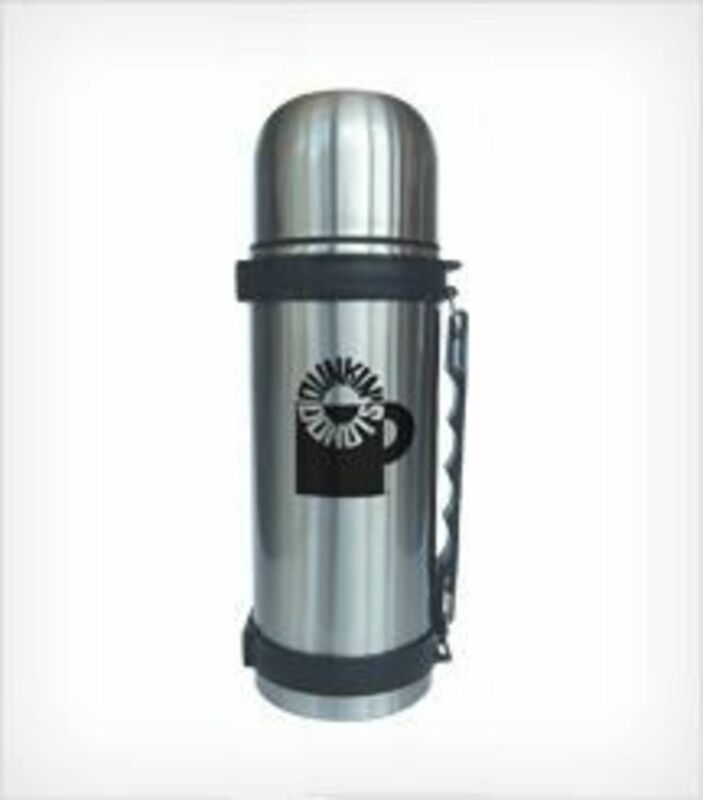 For those of us that don't have access to a pot of fresh coffee, the best thing that you can do is put that hot coffee right into a thermos. One of these thermoses will keep it piping hot and ready to drink, no matter where you are or how cold it gets. 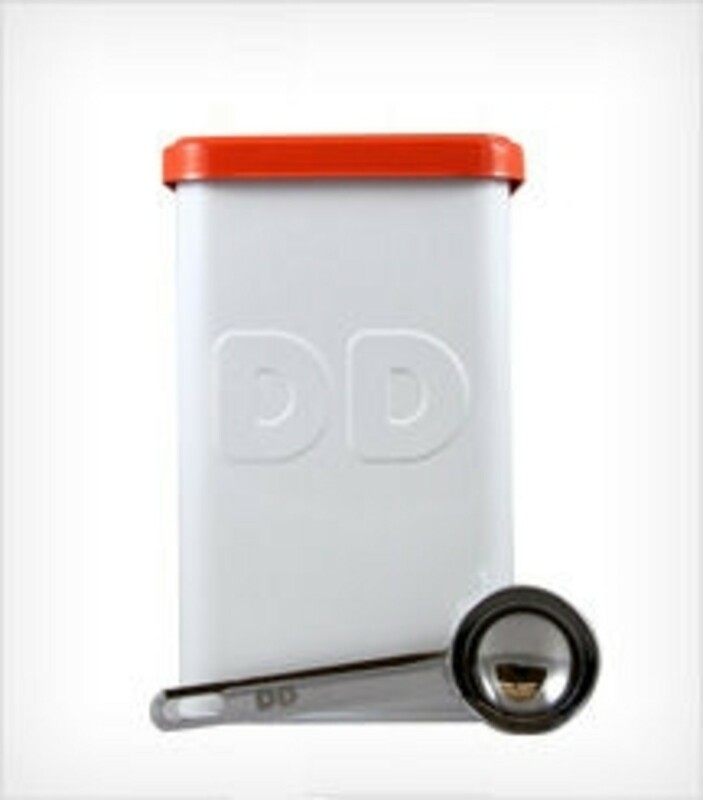 Dunkin' Donuts thermoses are also available in tumbler sizes, so you can enjoy a regular size cup of coffee in an insulated, sturdy cup (no more flimsy, heat escaping styrofoam cups). Drink it all day long: enjoy it throughout the day, even in the cold outdoors with a thermos! 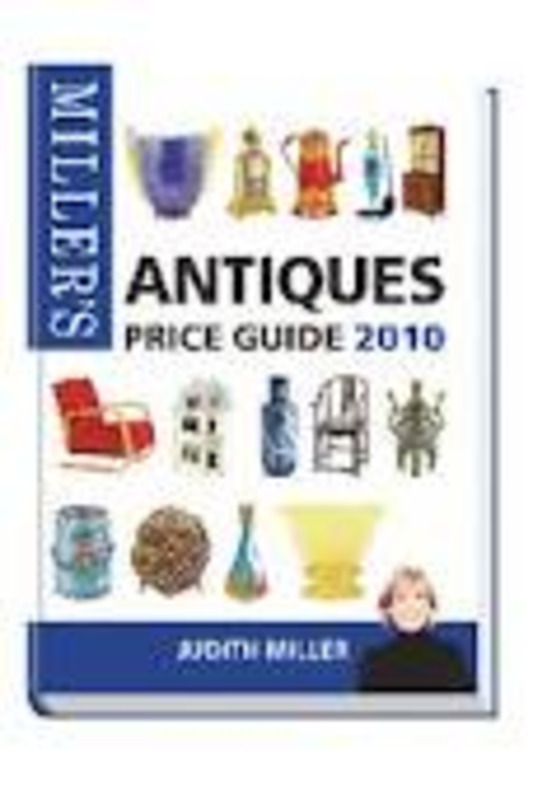 There are some products that are available from time to time if you really search hard and search often for them. These range from plush animals to collectors cups. You can try putting these items on your favorites searches, so these items will be sent to you automatically via email whenever they're listed in the marketplace. 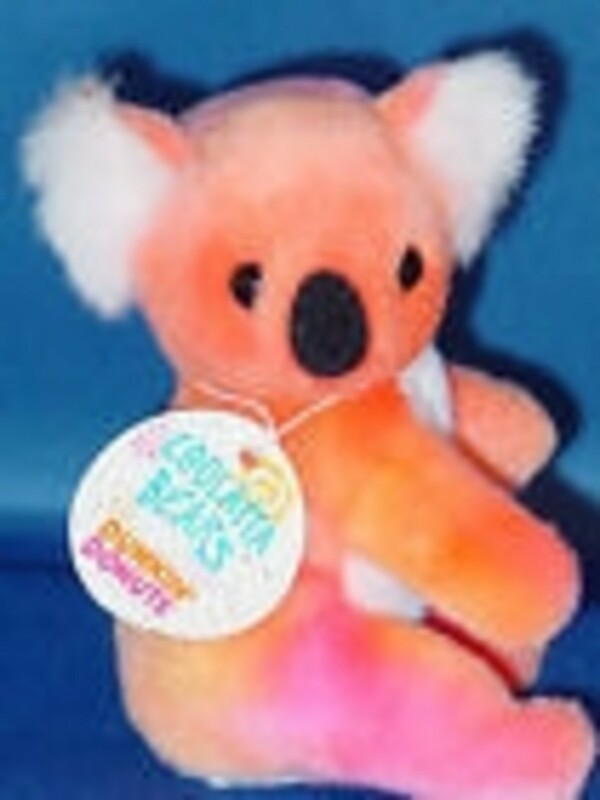 Coolatta Bears: These collectible bears were a sensation when Coffee Coolattas were first introduced in the late 90's. They came in a variety of colors to represent every flavor of coolatta available. There was vanilla bean, berry, goldie, mango, and others. Available for purchase only for a short period of time, these are pretty scarce. If you see one available, you may want to buy them before they're gone, because they aren't for sale very often. Unique Mugs: It's hard to pick any one mug to choose from, but just search for Dunkin Donuts mugs and see what's available today. The selection varies wildly from week to week. A lot of the vintage thermoses and mugs with cream and brown color scheme can fetch high dollar values. So, if you have one of those you no longer want, Ebay would be a good place to sell it! Seasonal Items: From time to time, a seasonal item will be released for Halloween or Christmas. Try using the holiday keywords to narrow down your search. Items range from inflatable spiders to trick or treat pales to ornaments to keychains. 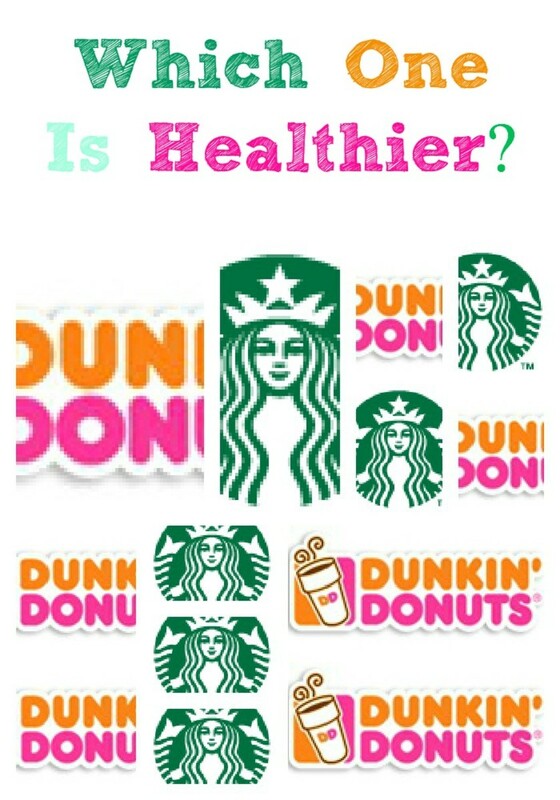 Own Some Dunkin' Donuts Merchandise, or Love the Coffee? Share Your Thoughts! 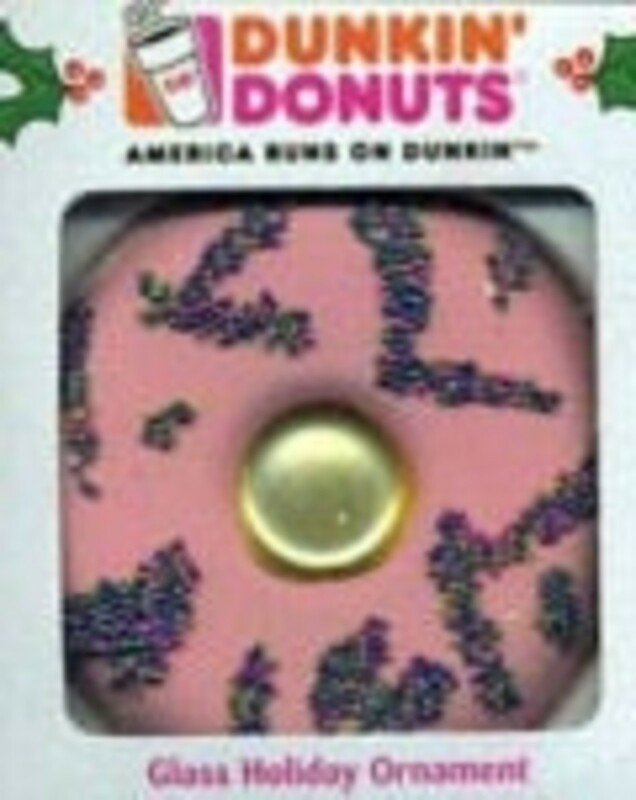 I have a Dunkin donut baker magnet still in package. I've had it for many years. I was wondering if it is worth anything. Do you sell the thermoses? How much? What sizes? @anonymous: I don't think those are that old, maybe five to eight years, so probably around face value still if it's brand new. The only sure fire way is to check Ebay and see if others are for sale, or to list yours and see what it sells for. I'm fairly sure it's worth around $15. Hi, I just acquired a super cool , I'm assuming, retro or vintage silver coffee canister (Dunkin donuts) of course. It also has a sweet little 2 tbsp. (metal) spoon to measure my coffee with. My question for you is: what do you yThink something like this might be worth....as I've never seen one like it anywhere. @anonymous: The value is whatever people are willing to pay! You could try to sell it on Ebay using the "best offer" listing, or start it at a price you're comfortable selling it for and seeing what it goes for. @anonymous: Create a favorites search on Ebay for the item, or post it in "want it now" on Ebay. It might be a waiting game to find something that rare. Also, you could try posting a free ad on Craigslist. 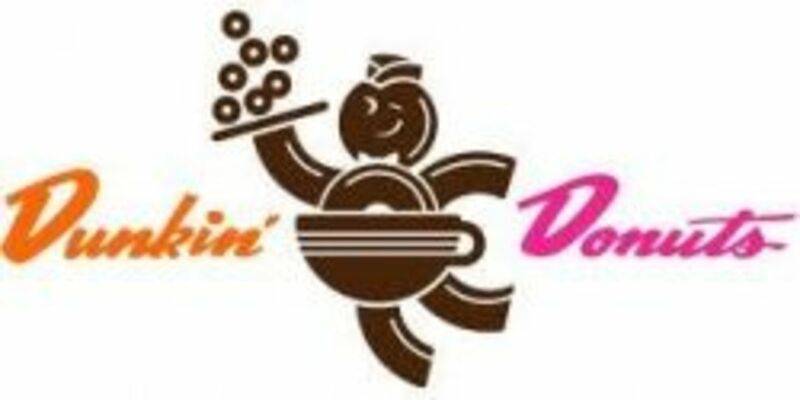 Hello, I am looking for an 80's paper dunkin donuts hat (like fred the baker wore) and shirt like he wore as well. Any ideas? I have a unique item from a few years ago....a Dunkin Donuts Talent Search badge, including the flip case it came in. This was used as an undercover way to reward employees for doing a good job. It was a limited project (maybe 6 weeks at the most) and I don't know how many of these were ever issued to the mystery shoppers....and how many are still around. How would I place a value on such an item, and is it something that some one would actually collect? @anonymous: I'm willing to bet the best way to do this is to contact a franchise owner and see if they would order one. If you frequently visit one Dunkin' Donuts, call a manager and then ask to speak to a General Manager if you don't get anywhere. As far as I know, this would be the only way to get one. Love the coffee and donuts. Haven't had them in several years though, because there isn't one around where I live. Happy donut day! Best coffee ever! Nice lens.